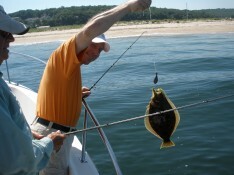 Gentlemen…start your engines for the 1st Annual Sea Robin Roundup..where all proceeds go to the Wounded Warriors Project! 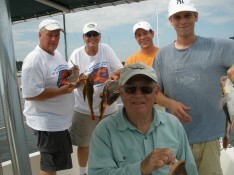 In the end…Team Pursuit of Bass had a 3rd place tie in the Sea Robin division…with Huntington Angler…Cousin John! Way to all who participated , and we are looking forward to next years event!!! 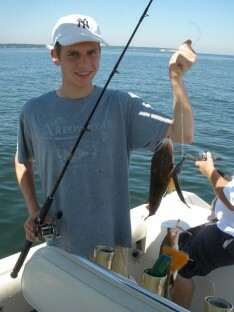 Conner with species of choice!! !